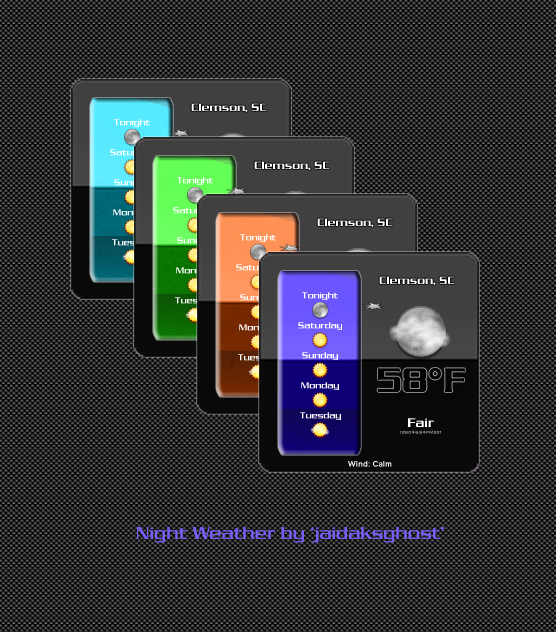 some interest was sparked by a screenshot so here's my Night Weather widget. Default color is blue. Double-left-click on the bottom left weather icon to toggle the hue slider on and off. It's a star shape in the upper middle when it's active.